The majority of drivers experience difficulties when parking a car, but this game will easy their education. Learn the basics of parking. This is a test buddy and the majority of drivers will fail it. Park cars on their parking lots and spend as less time as you can. Each scratch means you need to star it over again. Get three stars and try out next level. 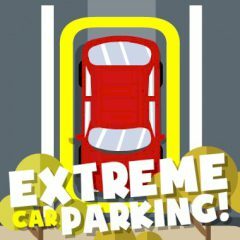 Games Similar Extreme Car Parking!